Each week, there's an additional little twist to "American Dream Builders." This episode featured not two, but one home, a Colonial-style duplex. The columned home was elegant, but outdated and in need of classic styling and rebuilding. The remaining team members divided into two new teams. Colonial homes feature columns, shutters and gables on the exterior. Interior details include wainscoting, chair railings and wall and ceiling molding. While craftsman homes often include these same features, Colonials are a lighter version. "They have a sense of glamour," explained designer Elaine. "[The details are] light and gracious -- like icing on a cake." Here are few tips to add a similar "icing" to a home. Although the colonial architectural style dates back to the 1600s, designer Lukas wanted to create an enduring aesthetic. 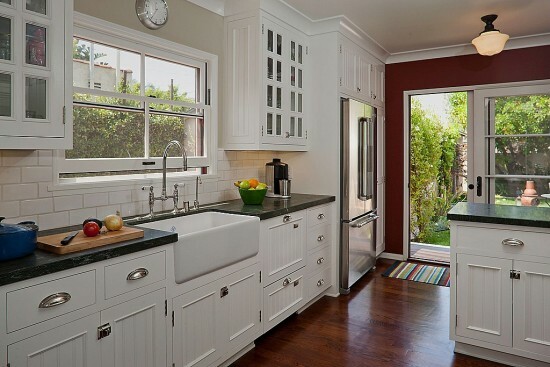 He transformed the small kitchen into a bright and inviting space. 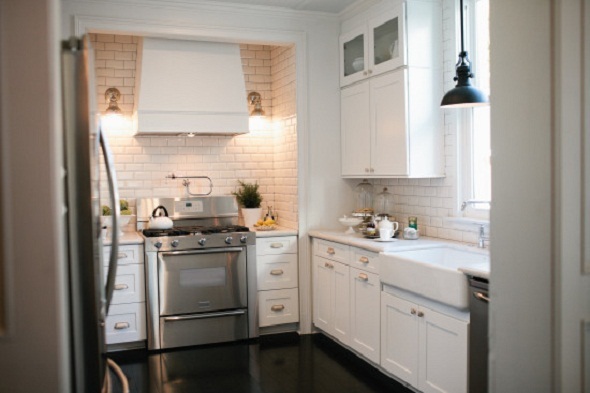 As judge Monica Pederson remarked, a tiny kitchen can still be gorgeous. 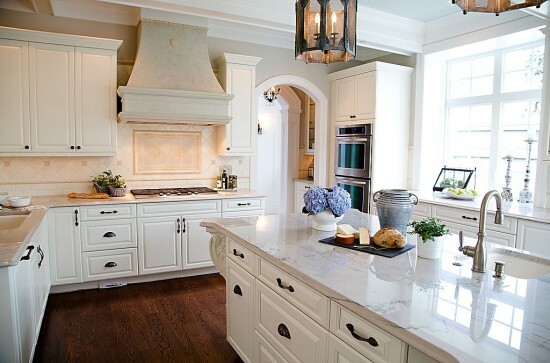 "In general, for kitchens -- whether you're talking about a Colonial or Tudor or any other style of home -- you really want to keep the kitchen design timeless," he explained. 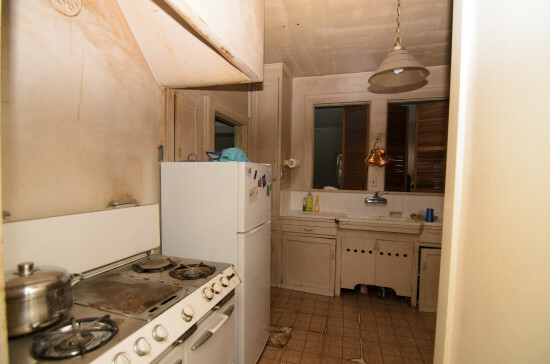 The kitchen needed many updates. White cabinets and tile dramatically changed the space. 1. Add light details. The ceiling in the kitchen is a beadboard painted a faint blue. It's not a bold statement, but rather something that adds depth and interest, and won't become dated anytime soon. A slightly darker shade on the ceiling is a unique twist. 2. Go with classic, simple features. 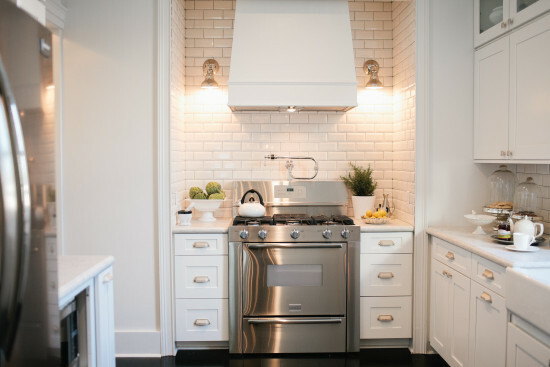 "We stuck with simple white cabinetry, Carrera marble countertops and subway tiles for the backsplash," said Lukas. "You can't go wrong if you keep the base very clean and simple." An all-white kitchen is a classic look. Design by Sheila Mayden Interiors. 3. Add vintage touches. From the deep farmhouse sink to silver accessories picked up from second-hand stores, Lukas' added details are "affordable and beautiful." A farm sink with one large vessel is more useful than sinks with multiple compartments. Colonial living rooms are largely traditional with the "bones" of the home -- columns, molding and chair rails -- doing most of the design work. With this much detail, it's best to keep the furniture and accessories minimal and classic, as Elaine did in this room. The simple furnishings let the details of this room shine. 1. Add traditional chairs. Colonial-inspired chairs are not slouchy but have clean lines and slight details, like curled sides and dainty legs. 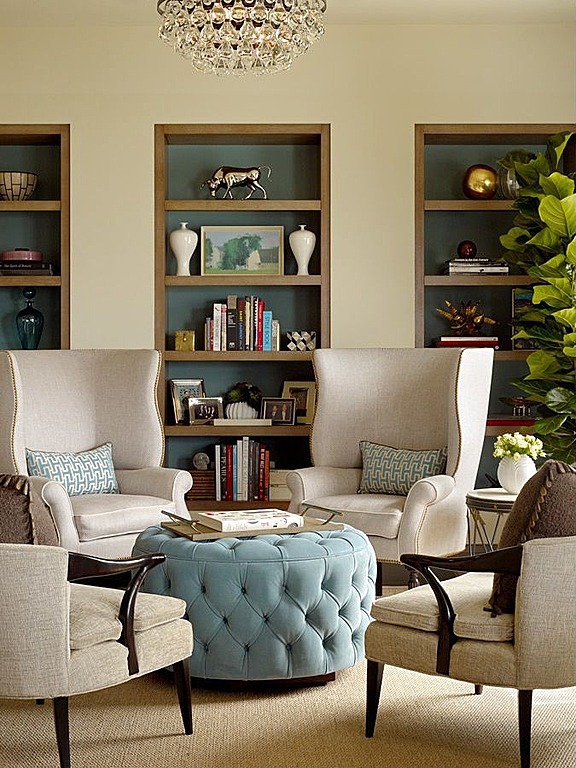 Simple chairs are a polished choice for a traditional room. 2. Let architectural elements shine. 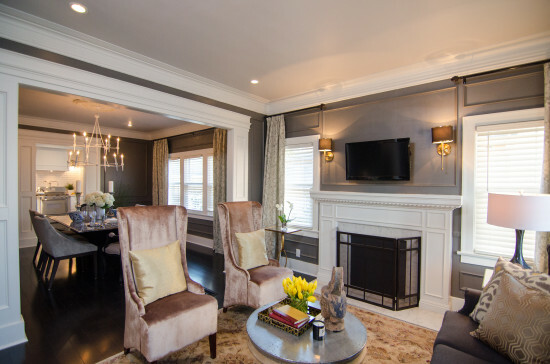 Create a traditional space with deep molding, thin chair rails or beadboard. 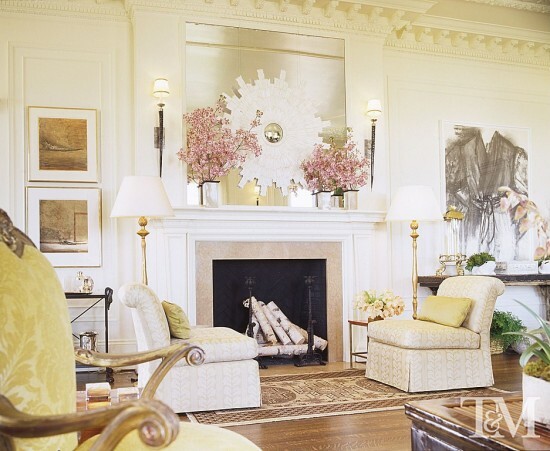 Designer Suzanne Tucker chose neutral finishes for this room. 3. Keep the pattern and color mixing at a minimum. Choose a palette of just a few colors or patterns and stick to it. The solid couch and solid chairs go well together, and patterned pillows add a small amount of interest -- without overwhelming the room. 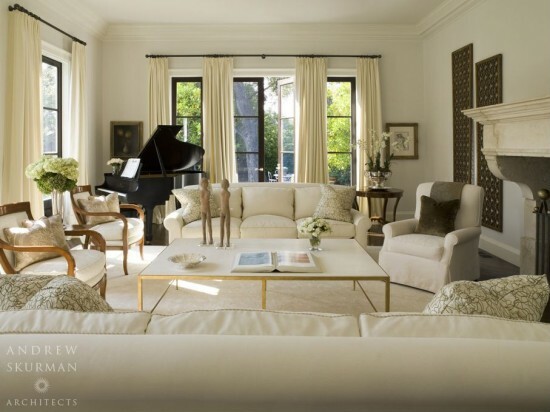 Simple furniture in this living room by Andrew Skurman make the windows pop. Get more design inspiration from "American Dream Builders" contestants on Zillow Digs!